Is a Facebook “Like” First Amendment-Protected Speech? It’s Complicated. 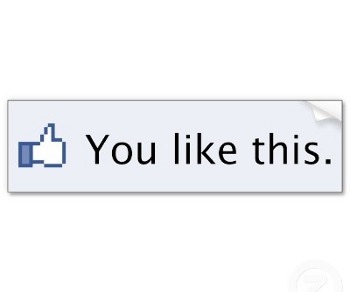 When is a “like” not an expression of liking something? And does it, like, matter? In an April 24, 2012 opinion in the case Bland v. Roberts, Judge Raymond A. Jackson of the U.S. District Court for the Eastern District of Virginia sparked an online firestorm by ruling that “merely ‘liking’ a Facebook page is insufficient speech to merit constitutional protection” under the First Amendment. The ruling came in the context of a public employee’s retaliation claim. The plaintiff had been fired by the defendant sheriff for, among other things, “liking” the Facebook page of the sheriff’s political rival. In dismissing the lawsuit, the court found that, because the plaintiff’s “like” wasn’t protected speech, the termination didn’t violate his First Amendment rights. I’m a lawyer who regularly represents newspapers, broadcasters, reporters, publishers, filmmakers, and others who support a robust interpretation of the First Amendment. So my sympathies lie with the plaintiff here. The same is obviously true of a good percentage of online commentators, judging by the huge number of articles published over the last few weeks covering–and often criticizing–the decision. Who’s right? That’s not for me to say in this context. But, in Judge Jackson’s defense, the issue may not be quite as clear as many of the critics suggest. How Might a Like Not Be Speech? But Judge Jackson distinguished the other cases on the grounds that they involved “posts” containing “actual statements.” By contrast, he found, simply clicking a “Like” button doesn’t convey enough personal expression to constitute “speech.” That’s the critical aspect of this case–determining whether or not the plaintiff actually expressed anything by clicking the “Like” button. The lead plaintiff in another closely followed lawsuit would agree with Judge Jackson. In the still-pending case Fraley v. Facebook, a class of users are suing Facebook for using their “likes” as raw material for its “Sponsored Story” advertising program. That feature creates ads that persuade Facebook users to click on them because the user’s friend also “likes” the service being advertised. I’ve written about this case before, because it raises interesting questions about the right of publicity–the right to control the commercial use of one’s personal likeness. But here, it’s interesting to note that the various Fraley plaintiffs gave all sorts of reasons for why they clicked “like” on a particular page, “such as to access a special offer code for a new product, to access photographs of an event, or to become eligible for a promotional prize.” They claim to have not known or intended “that their actions would be interpreted and publicized by Facebook as an endorsement of those advertisers, products, services, or brands.” In other words, none of these plaintiffs intended their act of clicking the “like” button to be interpreted as speech. Fraley demonstrates that not all people who click a “like” button actually like the page it’s on. Rather, the button is a gateway, a necessary quid pro quo in order to gain access to otherwise-private content. Facebook used to allow users to “join” groups or become “fans” to get such access; only within the last year or so did it start calling this activity “liking” instead. Page owners often trumpet their number of “likes” to advertisers and others to suggest that their brand is popular, but this is not always an accurate measure. Indeed, NPR recently ran a story about falsely inflated “like” statistics on commercial Facebook pages called “For $75, This Guy Will Sell You 1,000 Facebook ‘Likes’.” Just because Facebook uses the “like” nomenclature doesn’t necessarily mean that everyone who clicks that button shares the same warm and fuzzy feeling. But whose perception matters the most? After all, it’s certainly foreseeable–perhaps even inevitable–that voluntarily associating yourself with a big blue “thumbs up” icon that says “Like” next to it will be perceived as indicating that you do, in fact, like whatever the button is associated with. Should your internal, unexpressed disinterest outweigh your public expression of “liking”? There are certainly other situations in which your decision to “like” content can carry legal consequences, regardless of your subjective intent. For example, in its January 4, 2012 alert on “Investment Adviser Use of Social Media,” the Securities and Exchange Commission warned that “the use of ‘social plug-ins’ such as the ‘like’ button [on investment adviser websites] could be [an unlawful] testimonial under the Advisers Act.” The SEC carefully regulates public expressions of endorsement when it comes to investment opportunities. If an investment adviser publicly “likes” a company, stock, or review, or encourages a client to do so, the SEC isn’t likely to take as nuanced of an approach as Judge Jackson did in assessing whether that adviser crossed the line. Similarly, the police don’t care whether you subjectively “like” a page on which you’ve clicked “like.” They’ll still use it as evidence against you if they can. Over a year ago, I wrote about Igor Goldenshtein, and how police in Atlanta used the fact that Goldenshtein had “liked” the Facebook page of The Ballast Collective–”a medical marijuana growing and distribution group”–to establish probable cause for detaining him on suspicion of marijuana possession and smuggling. “While [his “like”] standing alone does not give rise to reasonable suspicion,” wrote the judge, “and although the group is legal under California law, it does show that Goldenshtein had at least some interest in or connection to marijuana growing and distribution. All of this information was suspicious enough” to justify the further surveillance that federal agents performed on him. In sum, it seems that whether “like” means “like” is truly in the eye of the beholder. Perhaps these questions will settle themselves out over time, as the jargon of social media grows even more entrenched in our society than it already is.